Do you need a little "pamper me" item? I recently received the Luxury Hot/Cold Eye Mask from Karmick. This is a really nice "pamper me". It serves a couple different causes. First it can be heated in the microwave for 30 seconds to help relieve sinus pain, dry eyes, or to help you sleep. 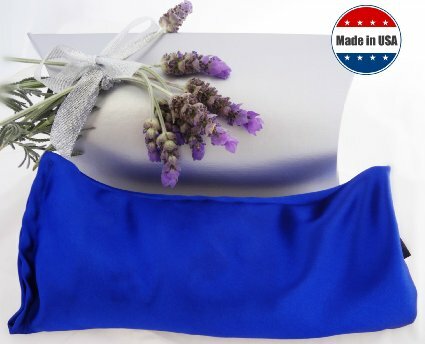 It blocks out all light as it comforms to your face and the soothing scent of French Lavender helps relieve stress, tension and anxiety and depression. Put it in the freezer for a couple hours and it helps reduce puffiness and dark circles, and sensitivity to light. Can be used by women, men , or children.